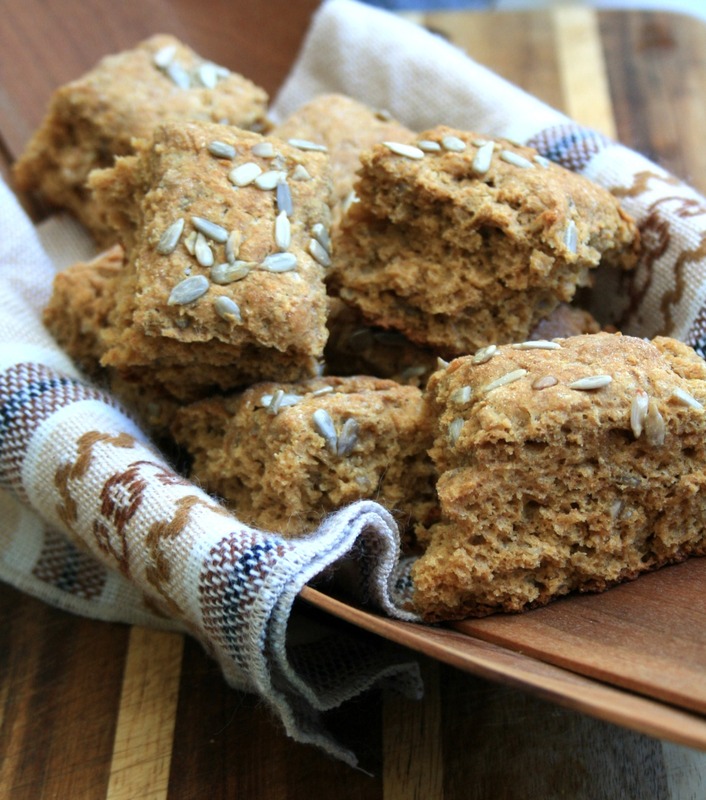 Brown soda bread is a moist oatmeal quick bread sweetened with molasses. 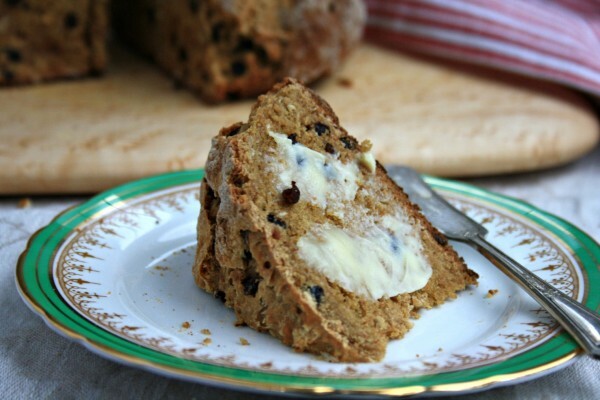 This is a very close cousin of a classic Irish soda bread. 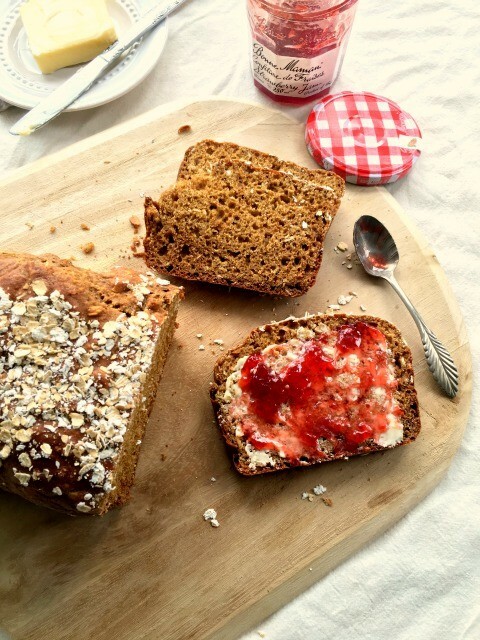 Homemade brown bread is my weakness but I rarely take the time to make a yeast version of a moist and chewy oatmeal brown bread. 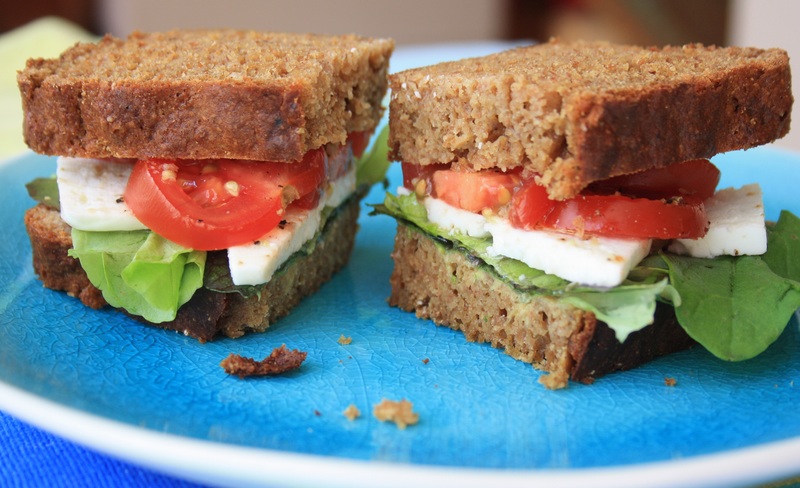 That’s why I love this sort of bread recipe — It offers many of the benefits of an oatmeal brown bread made with yeast, but is quick (relatively) and easy to make. I seem to forget about this sort of recipe until the calendar turns to March. Then, in the count down to St. Patrick’s Day, I seem to begin craving all of my Irish recipes. 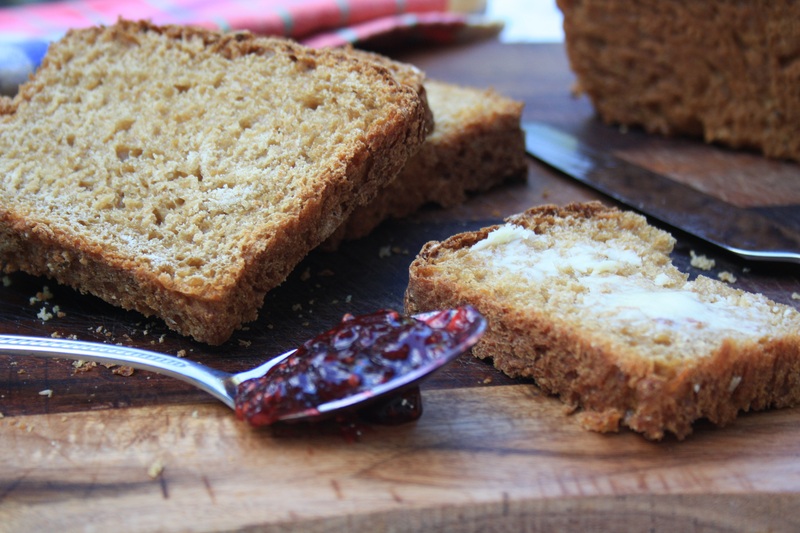 This recipe is similar to our old favourite, Whole Wheat Molasses Quick Bread, another oatmeal brown bread recipe that’s a great stand-in for a yeast bread. 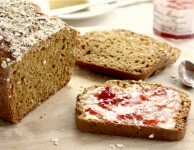 This brown soda bread recipe arrived in my email a few days ago from the excellent website Leite’s Culinaria. It’s a source of well-tested recipes for classic comfort food that you might want to check out. This moist brown soda bread will keep on the counter (wrapped) for a few days but as with most baked goods it’s best right out of the oven, spread with butter and jam. I enjoy it toasted too (with almond butter and sliced banana) and I have been eating a slice alongside lentil soup and a hunk of extra old cheddar. Take note: This recipe calls for the buttermilk (or sour milk) to be added at the very end, after the eggs and flour mixture have been combined. Line a 9-by-5-by-3-inch loaf pan with parchment paper or grease it well. In a large bowl whisk the flours, baking soda, salt, and oats. In another bowl beat the eggs with the oil. Beat in the molasses. Add the wet to the dry and mix gently. Add the buttermilk and mix gently until just combined. Scrape the batter into the prepared pan and smooth the top with a wet spoon. Sprinkle with rolled oats. Bake for 1 hour, until a tester comes out clean. Set on a wire cooling rack. Let sit for 10 minutes before removing from pan. Sounds so yummy! I am off dairy. I am wondering if almond milk would work for this recipe, and could I sour it with a little vinegar? Thank you. Hi Freda, It’s worth trying almond milk but I’m wondering if you should add a little cider vinegar to “sour” it. Molasses reacts with buttermilk & sour milk, helping with the leavening. I’m not certain if almond milk is considered acidic so am not certain if if would cause the bead to rise differently. Let me know how it goes. This recipe was simple and delicious. I have already shared it with my Facebook friends. I look forward to exploring this site for more great recipes! Hi Connie, I’m so pleased that you enjoyed the recipe. It’s a great substitute when you haven’t time to make a yeast bread. Excellent recipe. I followed it start to finish. The loaf turned out perfectly. I used sour milk in place of buttermilk. 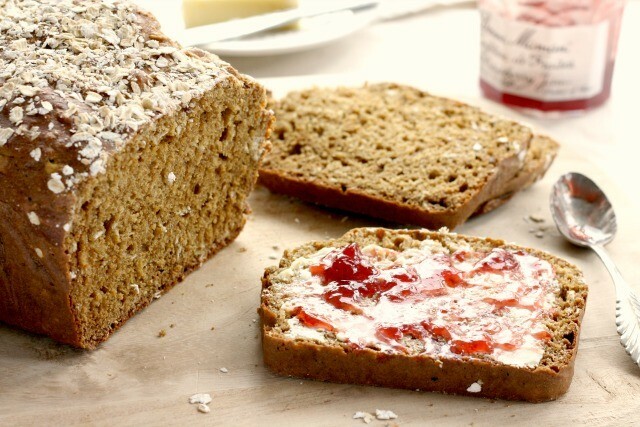 The recipe for Brown Soda Bread? Certainly! Hi Dorothy, there is a print button at the bottom of the recipe. Hope this helps. How do you ‘sour’ the milk? Hi Mark, To sour the milk you can just add 1 tsp. lemon juice or vinegar to the milk and let it sit for 5-10 minutes before adding it to the recipe.